The Montane Men's Extreme Jacket is a technical single layer softshell for extreme mountain conditions. Built for hostile environment, the Extreme Jacket is tested and trusted by mountaineers, climbers and mountain rescue teams around the world. The outer of the jacket is Pertex Classic 6; a windproof, breathable and fast drying fabric designed to provide performance and comfort. Inside the jacket there is the Dryactiv 3000 deep lining that provides warmth as well as fast drying and wicking performance. The fabric actively wicks sweat away from the body allowing it to evaporate quickly, ensuring you stay dry and comfortable when working hard or in wet conditions. 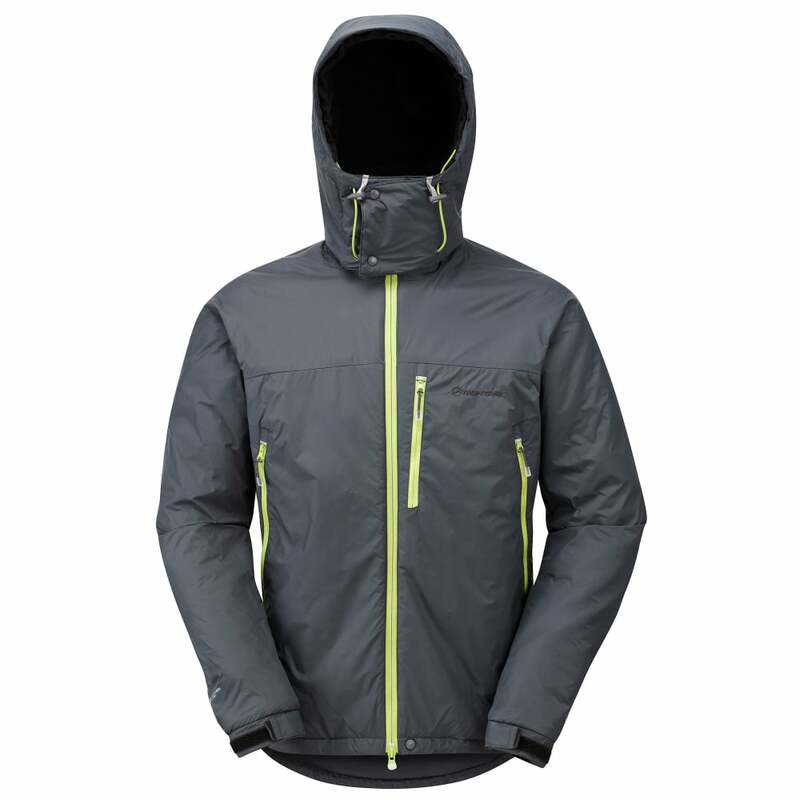 Features of the Extreme Jacket include reinforced elbows for increased protection against rocks, a fully adjustable helmet compatible hood that is pile lined and removable, 2 harness compatible hand-warmer pockets, a chest pocket and reflective detailing for increased safety on the mountain.